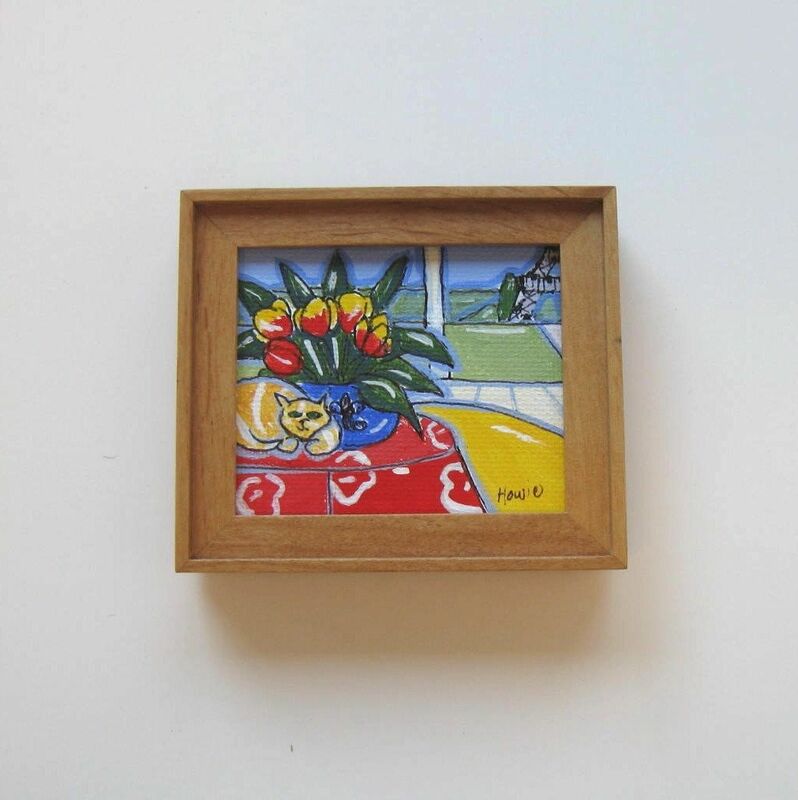 This original acrylic still life painting of a cat and the Eiffel Tower, is a great keepsake for anyone that has visited Paris. It is an original painting done in acrylics and pen and ink on canvas paper. 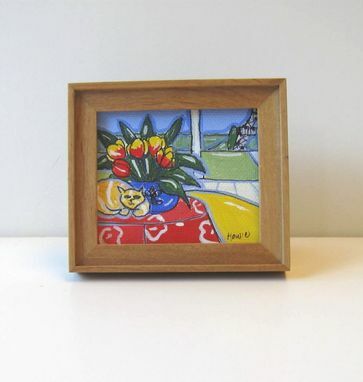 The painting comes framed in a simple wood frame with a back easel and glass. 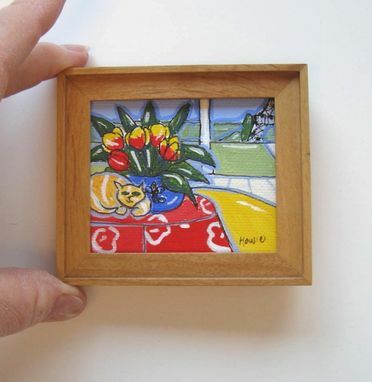 This miniature makes an adorable spot piece. 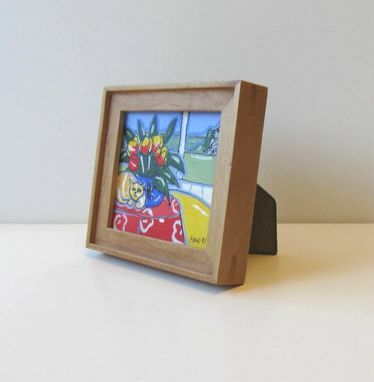 It can sit on a desk, counter top or bookcase as a special accent to any decor.